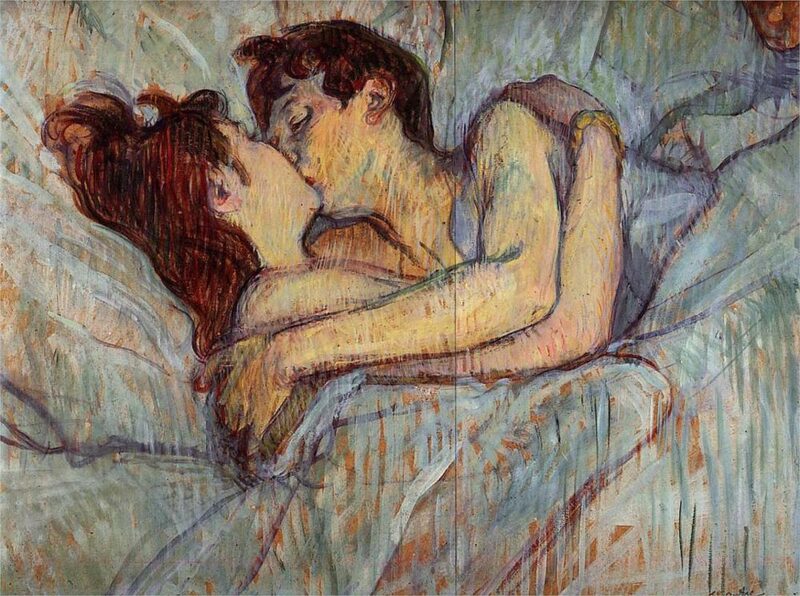 July 6th is National Kissing Day, so it’s only fitting that we take a look at some of the most famous kisses in art. Here are just a few, from the hopelessly romantic to the boldly taboo-breaking. If you don’t literally bend over backwards to kiss your other half, do you even really love them? Russian artist Marc Chagall would probably disagree. 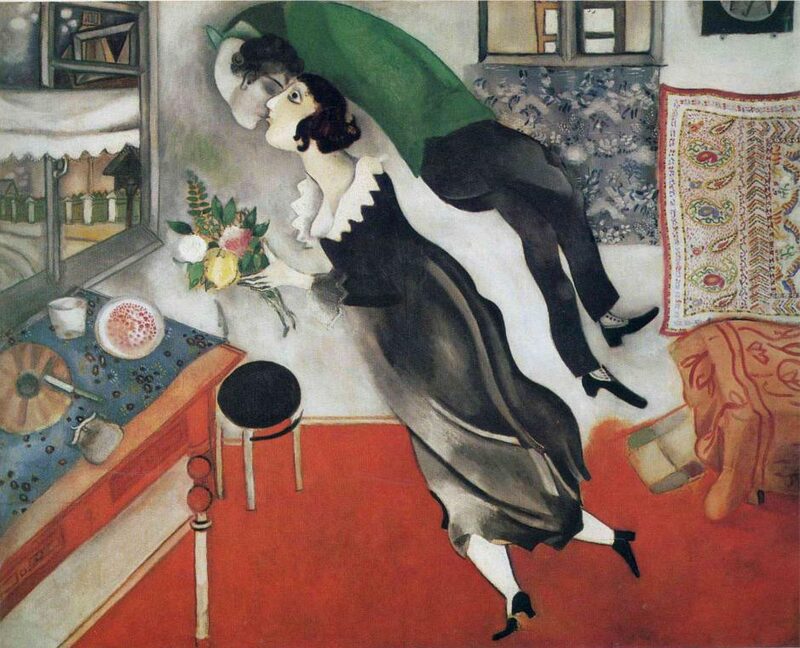 He painted this embrace between him and his wife Bella to celebrate her birthday. 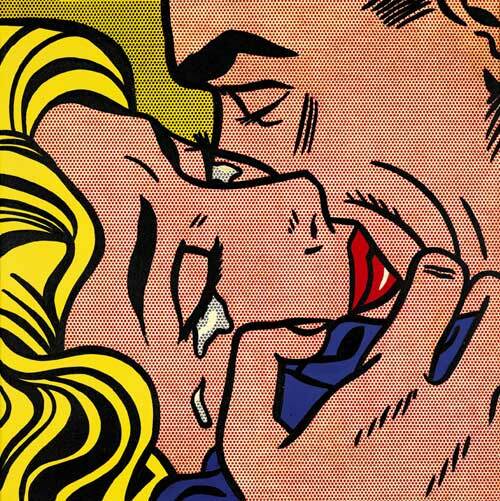 Several of Lichtenstein’s pop art paintings feature couples from comic strips. In this poignant scene, it’s not clear whether the couple are passionately reuniting or in the midst of a painful farewell. We’ll leave that one for you to debate. This sensual painting features two women in bed together, a taboo subject in the 19th century. 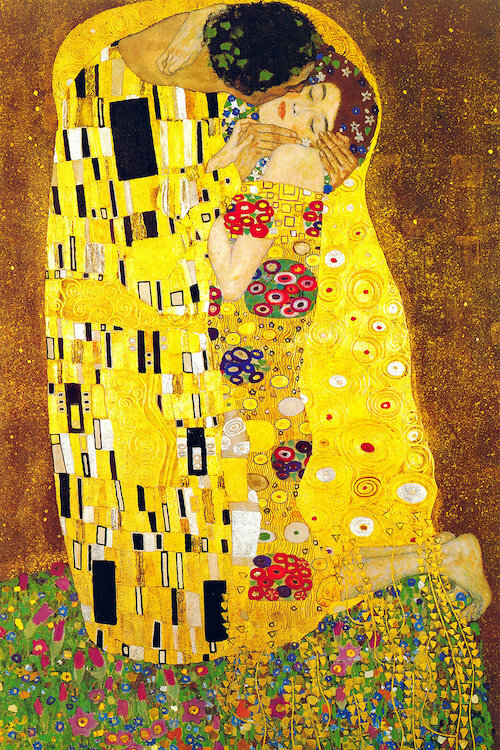 Considered to be one of Klimt’s great masterpieces, The Kiss depicts a closely intertwined couple who look very much in love. 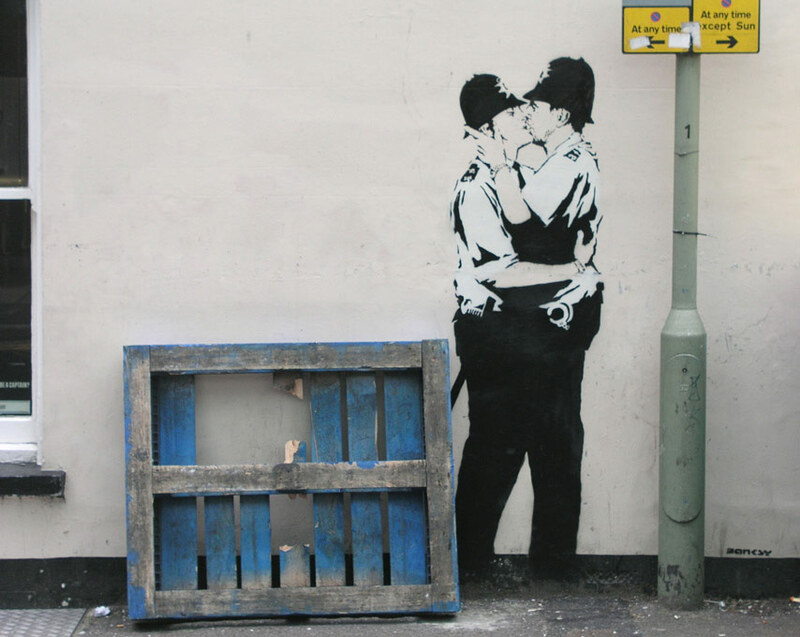 Banksy’s mural of two policemen kissing is one of his most recognisable works because it famously challenged homophobic attitudes. In classic Munch style, the couple’s features here are blurred and merged together. 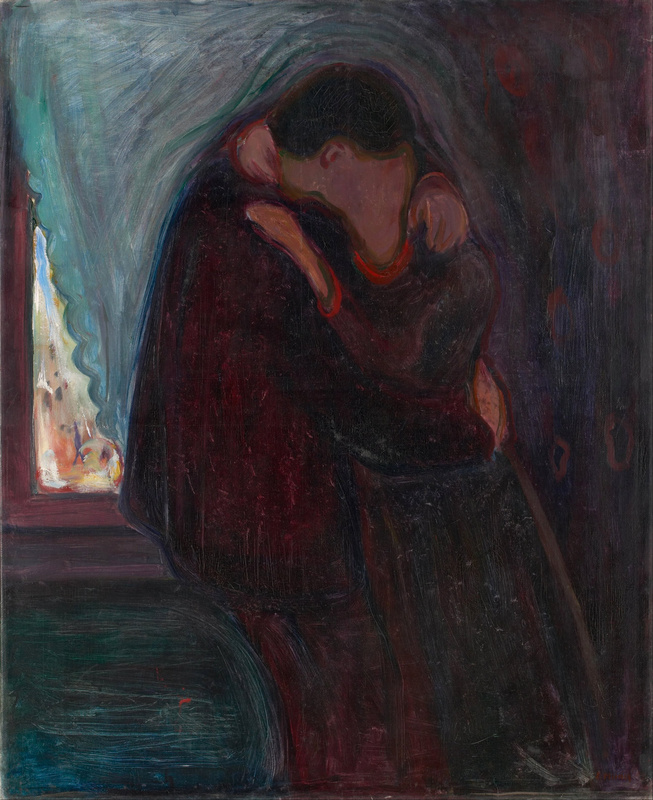 The jury’s still out on whether Munch is portraying the sense of unity between the couple or suggesting that relationships make you lose your identity.